The third edition of the classic self-help manual subtitled "What You Can Do To Keep Your Home & Workplace Safe" by Dr. Glen Swartwout "Exposes the Hidden Dangers In Your Everyday Environment" and emphasizes the simple solutions that he has implemented with hundreds of patients around the globe. ​He shares insightful clinical vignettes garnished over three decades of pioneering clinical work. 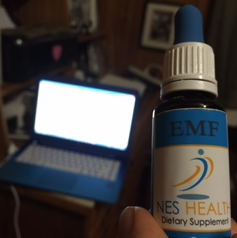 Thousands of doctors practicing Biological Medicine in Europe have found that 1 in every 3 people fail to get well even with all the right remedies until electromagnetic pollution effects are cleared. When the author was first learning Biological Medicine in the 1980's, there were beginning to be a few books that identified this issue. But none took a corrective approach. Another book scaring people about one more environmental stressor would not help people heal. What was needed in clinical practice was a guide to Electromagnetic Pollution Solutions. The whole spectrum of electromagnetic frequencies in our natural environment as well as those introduced by the technologies of the electronic age are brought into perspective. Imagine a cosmic piano keyboard with 88 octaves. And imagine our cells dancing to the symphonic music of the spheres. Then introduce the haphazard cacophony of the modern era. This practical book will show you which types of fields are more likely to be an issue for your health. 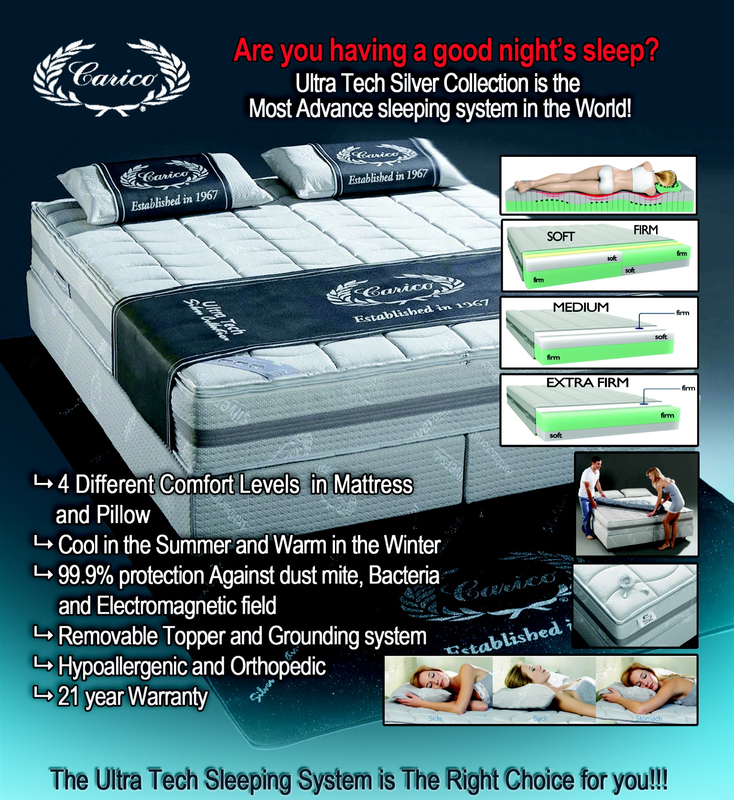 It will also guide you specifically as to which solutions work with each type of stress field. 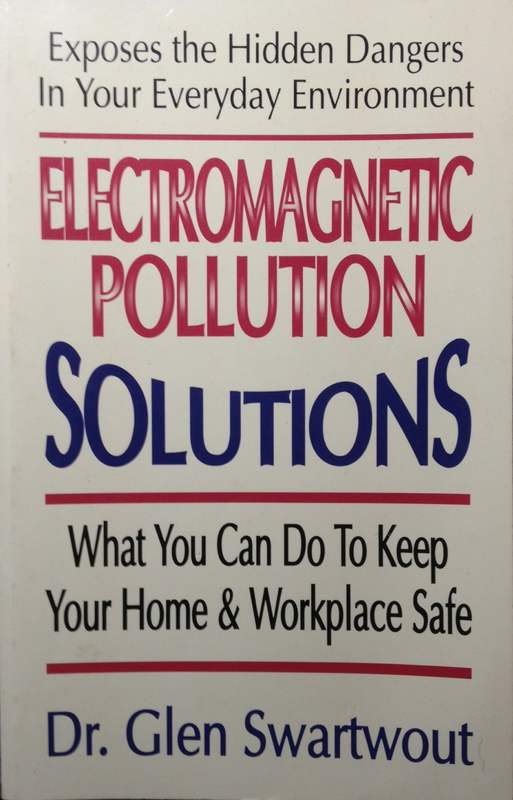 In this expanded third edition, Electromagnetic Pollution Solutions draws on 3 decades of Rev. 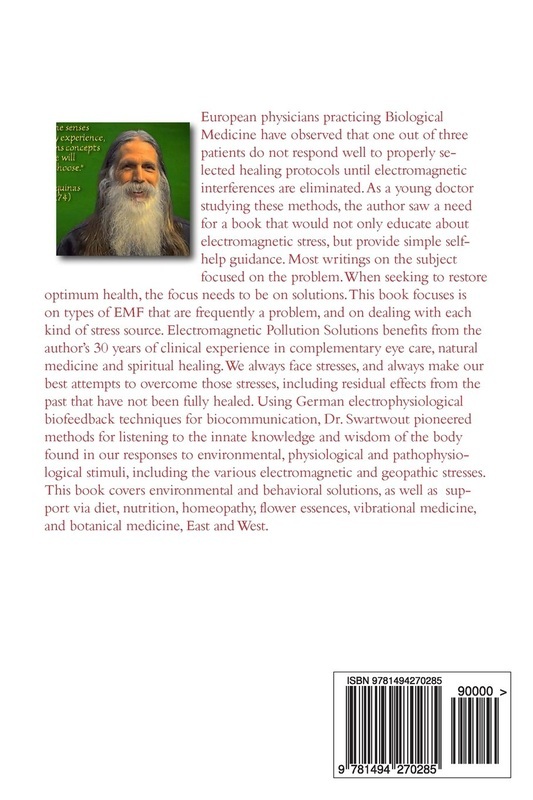 Dr. Glen Swartwout's experience as a leading holistic eye doctor and natural healer. The underlying philosophy of this book is to support your body's natural healing processes, in this case by removing a block to its innate ability and drive to cure itself. Life is always brings a symphony of stresses, new and old, and we are always doing our very best to balance and heal a few of those that rise to the highest levels of priority. With electrophysiological biofeedback instrumentation, Dr. Swartwout has been able to develop systematic bio-communication to listen to the deep wisdom of the body's responses to its electromagnetic environment, including varieties of electromagnetic and geopathic stress covered in this unique book. With the range of solutions covered here to remediate and protect via diet, nutrition, homeopathy, flower essences, vibrational medicine, and botanical medicine, East and West... this little book is an essential, and classic reference to include in the health practitioner's or caregiver's self-help library. 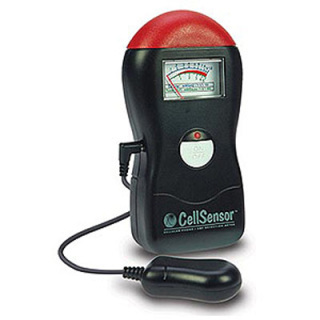 single axis Extremely Low Frequency (ELF).